They say a good man is hard to find. Kardell Spencer and Lewis Turner know this all too well. Neither is lucky in love. Kardell Spencer is successful advertising company owner who is hard working and has a no nonsense approach to work and professionalism. Lewis Turner is the flamboyant, over-the-top, employee of Kardell. He is the opposite of Kardell. He speaks how he is feels and leaves mouths gasping for air. Mateo Lopez is the rich, handsome restaurateur and new client of Kardell Spencer’s company. He shows interest in Kardell, but Kardell plays hard to get. Lewis being who he is makes a play for Mateo’s attention and moves in quickly. It all comes to a head when Kardell and Lewis find out about each other’s intent for Mateo. Mateo takes control of the situation and proposes a contest to see who will be the best man for him. But Mateo has an ulterior motive that puts both men’s lives in jeopardy. 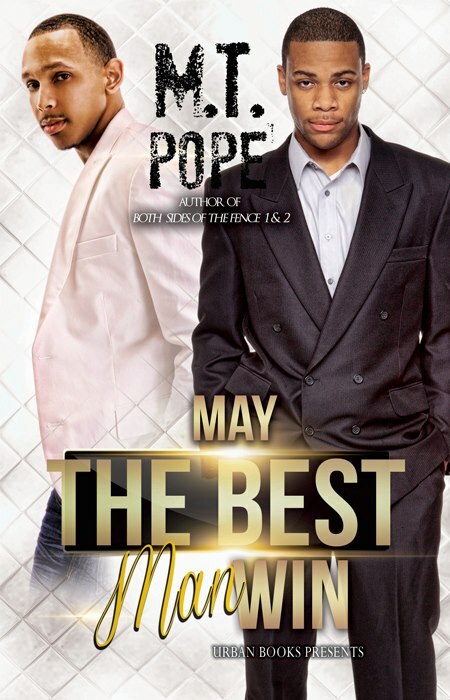 In May the Best Man Win, two men may find out that winning is not always winning.